Learn to make large-scale tartan quilts based on authentic Scottish clan designs. Learn to choose and merge fabrics that mimic the woven patterns of tartans (and the importance of fabric value). And hear stories about the clans and the impact they had on Americas founding. 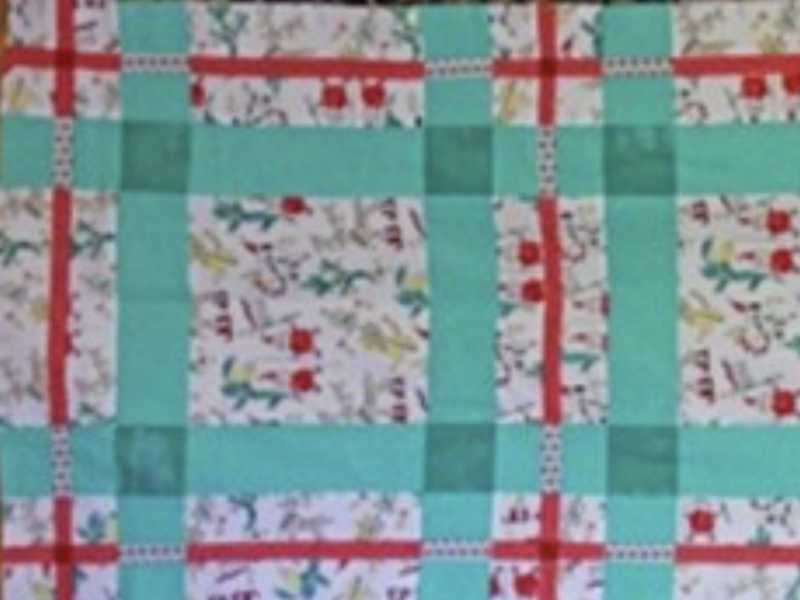 These quilts are made by simple strip piecing and no math is required because Kathy has done it all for you!! The 6 steps to create tartan quilts will be taught in a table-runner class. The students will learn every step so that they can leave class with the knowledge to make larger quilts on their own. These quilts are made of Base fabrics and Merge fabrics. Base fabrics might be, for example, red and black. The 3rd fabric would be red/black merge. Or a quilt with Base colors of blue, red, and black would have Merge fabrics of blue/red, blue/black, and red/black. Kathy will demonstrate options in fabric selection. The fabric amounts listed for these tartan projects result in extra fabric. In fact, for some of the quilts there is enough fabric to piece a backing completely! PLEASE NOTE: I will be focusing on Table Runners UNLESS you have taken the class before and are taking the class to finish up OR, you are taking both classes in April so you can do a lap or queen size. You should be able to finish, or get very close to finishing, the table runner in a one-day class. You will learn every skill needed to make larger Tartan Quilts on your own. This includes the 6 steps (1. Cut; 2. Sew; 3. Sew; 4. Cut; 5. Sew; 6. Sew), fabric selection, the importance of value, and chain piecing! Tea will be served. Each class is $35, unless this is a continuing class then it is $25. If you take both April classes, it is $60 for both. Each class is $35, unless this is a continuing class?then it is $25. If you take both April classes. It is $60 for both.